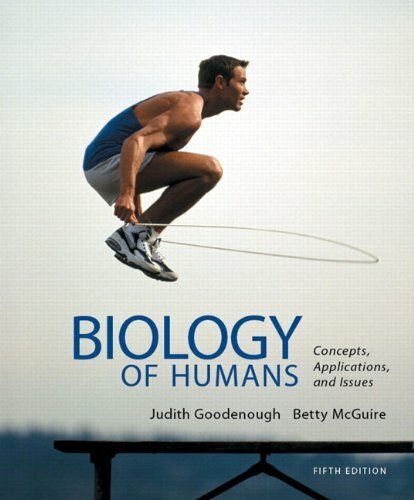 Known for its unique "Special Topic" chapters and emphasis on everyday health concerns, the Fifth Edition of Biology of Humans: Concepts, Applications, and Issues continues to personalize the study of human biology with a conversational writing style, stunning art, abundant applications, and tools to help you develop critical-thinking skills. The authors give you a practical and friendly introduction for understanding how their bodies work and for preparing them to navigate today's world of rapidly expanding-and shifting-health information. Each chapter now opens with new "Did You Know?" questions that pique your interest with intriguing and little-known facts about the topic that follows. The Fifth Edition also features a new "Special Topic" chapter (1a) titled "Becoming a Patient: A Major Decision," which discusses how to select a doctor and/or a hospital, how to research health conditions, and more.